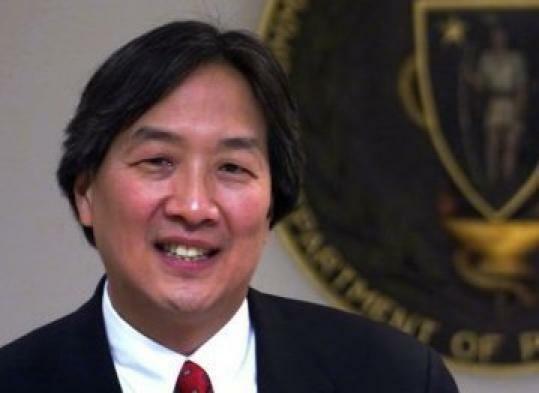 President Obama last night nominated Dr. Howard Koh, an associate dean at the Harvard School of Public Health and former Massachusetts public health commissioner, to a top health position in his administration. If confirmed by the Senate as assistant secretary for health, Koh would be responsible for establishing the nation's public health agenda, handling a vast portfolio that includes the US surgeon general and programs that coordinate vaccines, AIDS policy, minority health, and blood safety. "We at Harvard School of Public Health feel proud that a member of our community has been entrusted with this important mission," said the school's dean, Dr. Julio Frenk. Koh is the second member of his family to be nominated to a top Obama administration post this week: On Monday his brother, Yale Law School dean Harold Koh, was picked to be the State Department's legal adviser, a post also requiring Senate approval. Howard Koh served as the public health commissioner in Massachusetts from 1997 to 2003, first being appointed by Governor William Weld and continuing in the office through the administrations of Paul Cellucci and Jane Swift before resigning in the early days of the Mitt Romney administration. As public health commissioner, Koh spread a gospel of prevention that was both personal and passionate. He had established his bona fides in the world of disease prevention as a young physician at the hospital that was the forerunner of Boston Medical Center. From that base, he helped direct the successful 1992 campaign to raise the state tobacco tax, with the money spent on launching Massachusetts' widely emulated Tobacco Control Program. In the waning days of his tenure, swooning budget conditions forced Koh to largely dismantle the tobacco program. After leaving the state post, Koh joined the Harvard School of Public Health as associate dean, with his work focusing on cancer prevention, health disparities, tobacco control, and emergency preparations. The state's current public health commissioner, John Auerbach, said Koh's varied experiences treating patients, running a large government agency, and overseeing academic research provide him with an unusually broad view of the nation's healthcare system. "Those many different types of professions will give him useful insights in addressing the many different challenges that the country is facing," Auerbach said.